I was at the Bellagio a while ago and found this panel. 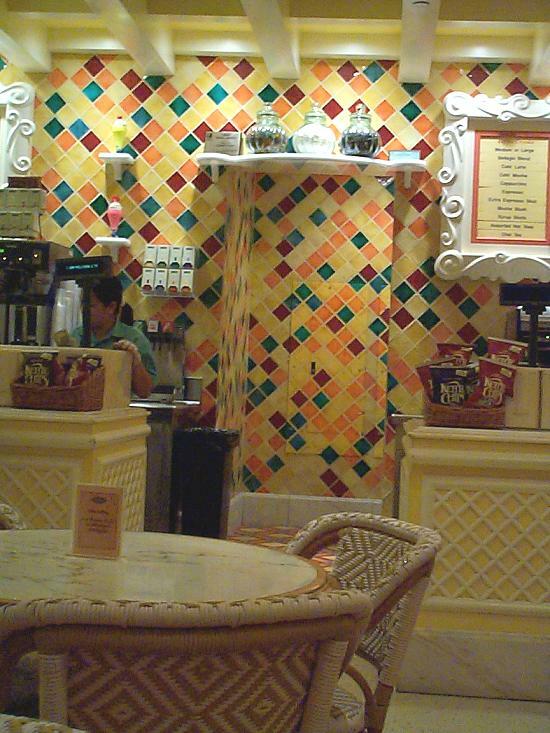 It has been meticulously painted to blend in with the tile work around it. I wish I had a close up, but they wouldn't let me behind the counter (health rules). I think it is funny that the Bellagio saved some money on their MV ducts and had the shutdown that we all know about, but went all out on the details like this panel. Clever disquise! One might get dizzy or sick, looking for it. Now that's what I call camoflague!. That panel in Cafe Gelato immediately caught my eye the first time I went in there two years ago & my friend commented about it as well. When staying at Bellagio this past November it caught my eye again and I thought to myself "I wonder if anyone from the ECN board has spotted this"? Does anyone know what the official cause of the Bellagio outage was? Considering Steve Wynn spent around 1.8 billion $ to build the Bellagio I'm supprised corners were cut to save on the electrical system. The bellagio is an amazing visit for most electricians- there is a huge amount of lights and details there. I need to go back and snap about 200 pictures of the ceiling, can lights, and uplit coves for future reference for clients that have the $$$. scroll to the last post, it has the most info. It's amazing that they will paint the panels to this degree, yet they seemed to have cut corners on their MV distribution system. I guess the reasons for this are private knowledge, but if you have billions to spend, at least put your distribution together right! I can imagine that the priority is how it looks...not how it works. 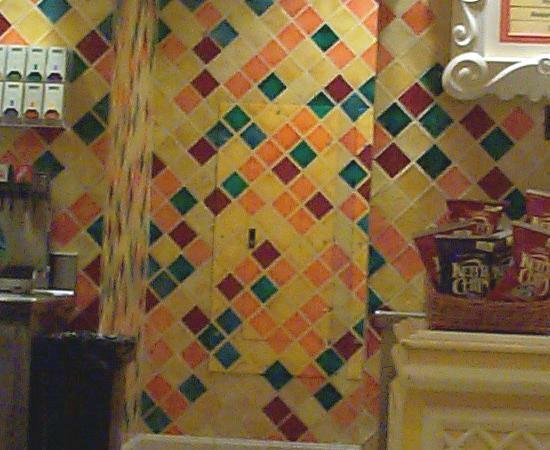 The paint job on this panel probably cost the Bellagio more than the panel itself. A customer of mine is the chandelier company that made many of the Bellagio's Custom Lighting Fixtures. Scott,thanks for the link,it's amazing what money will/can do. There's some pretty flash looking lighting gear on that site. See that big chandelier at the Sahara Hotel in Los Vegas, it looks like a whole house worth of lighting load in the one fitting!. Glad I wasn't the electrician that had to install that one.